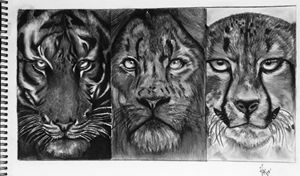 A charcoal scribble of the three key members of the cat family. Available in A5 size. Framing charges apply separately. 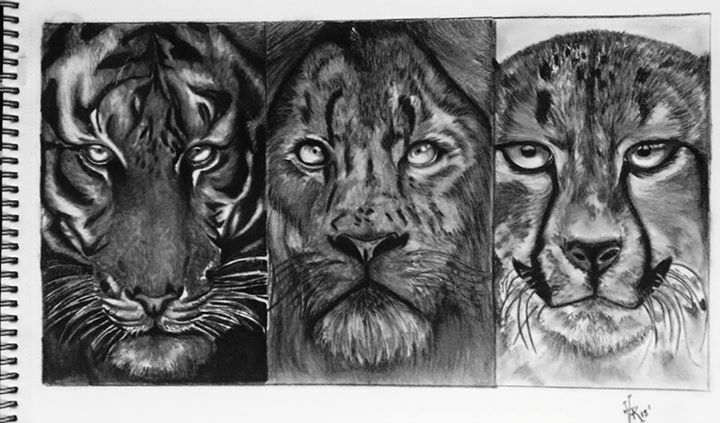 (Graphite scribble of the three key members of the cat family).